September 20 marks the 80th anniversary of the day the iconic Depression Era photo of 11 workers "taking their lunch break" was shot 69 stories above the streets of Manhattan in N.Y.C. 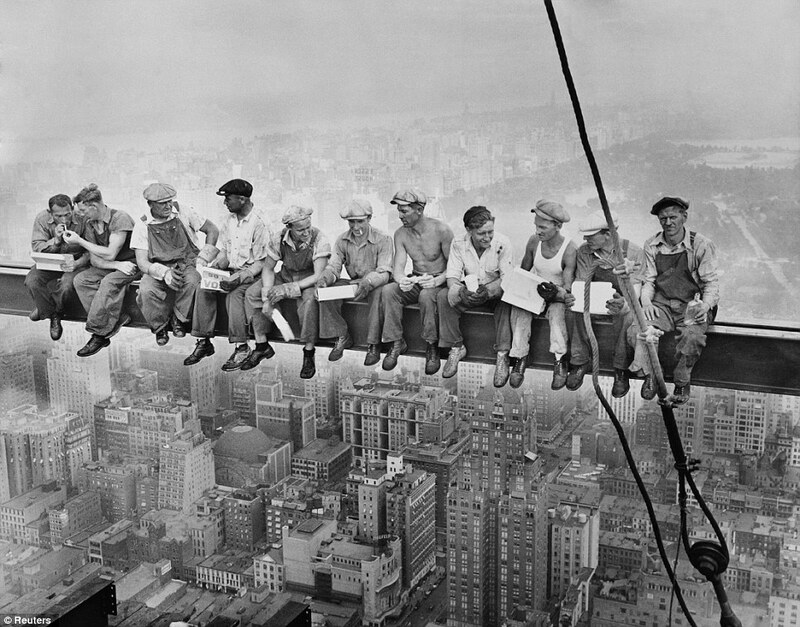 The photograph was taken during the construction of the RCA Building which would later be renamed the GE Building, now part of Rockefeller Center. Seems this breathtaking photo wasn't as spontaneous as figured for all these years. The trailer below is for a new film titled MEN AT LUNCH which was recently shown as part of the Toronto Film Festival. Thanks to Matt Strickland aka RivetHEAD for the heads up.